Arris Water not only provides consulting and technical services to clients but will also design treatment and reuse schemes that are ‘fit for purpose’. The construction arm of the company continually feeds back operational information to the design team ensuring that our design concepts are practical and easy to use in the real world. The company’s design philosophy is informed by engineering excellence, ease of use and operation, sustainability and cost-benefit ratio. 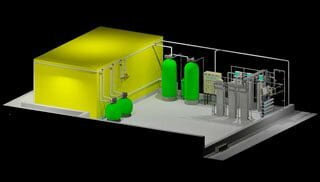 With its proprietary Zetos, RedSAR Media and RET (Recirculating Evapotranspiration Technology) the company is able to design a wide range of wastewater treatment plants that operate in either continuous flow or batching operations. We do design, construct and operate treatment chains that do not include our proprietary intellectual property. An essential part of ‘fit-for-purpose’ design is making sure that the most appropriate technologies are selected for the task. Arris Water designs potable water treatment plants to meet ANZECC water quality guidelines. We have experience in treating raw water from ground and surface storages. Our designs contain technologies that manage colour (including tannins), sodicity, odours, iron, hardness, suspended solids, pathogens, endocrine disruptors and personal care products. We can provide multiple barrier disinfection technologies that minimise the risk of disinfection by-products. Arris Water uses Water Sensitive Urban Design (WSUD) techniques to provide a range of stormwater treatment and reuse solutions. These include culverts, piped systems, vegetated swales, constructed wetlands and rainwater tank reuse systems.